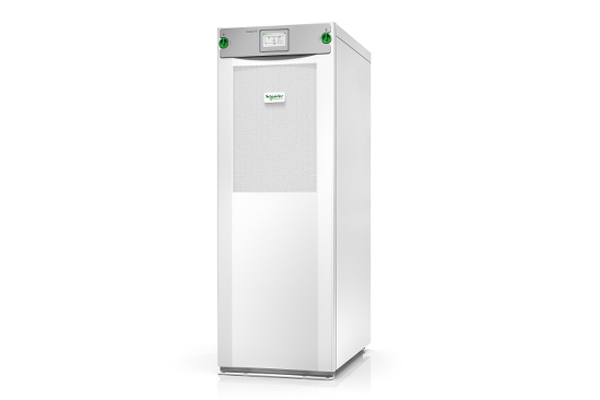 Schneider Electric has introduced the Galaxy VS, a highly efficient, modular, easy-to-deploy, 10-100 kW, three-phase uninterruptible power supply (UPS) designed to meet the critical power requirements of IT, commercial, and industrial facilities. Schneider Electric is a leader in digital transformation of energy management and automation. With its compact and flexible design, the Galaxy VS addresses the unique requirements of edge computing and small data centres where space and access are at a premium. Up to 99 per cent efficient and with optional Lithium-ion batteries, doubling battery life, the Galaxy VS Total Cost of Ownership (TCO) is unmatched in the industry. “Our newest UPS strikes the right balance for edge and cloud customers who need innovative solutions that are easy to deploy in this hybrid ecosystem. With its compact, modular design, the Galaxy VS can deploy faster and in a smaller space than traditional UPSs, saving users time and money,” he added. • Cost savings: Provides up to 99 per cent efficiency when operated in Schneider’s patented ECOnversion mode. • Footprint savings: Compact design provides high-density technology especially suited to confined spaces with full front access for easy and fast connection and services. • Longer life energy storage: Lithium-ion battery technology options restore backup time quickly, protect your load even during repeated power interruptions, and provide longer life than traditional battery solutions. • Increased uptime and simplified maintenance: Critical system components are built as modules with a fault-tolerant design. This provides internal redundancy at reduced load levels and a shorter mean time to repair. • EcoStruxure Ready: Makes it easy to manage with global visibility of equipment performance and status supported with a 24x7 expert service bureau.